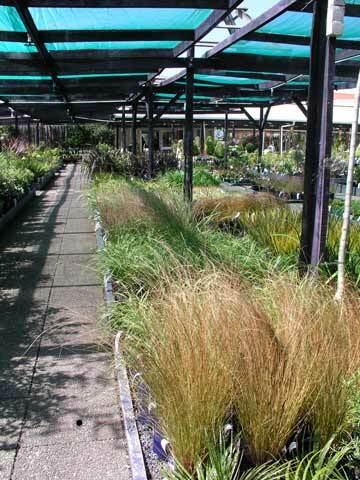 Native grasses, rushes and sedges are popular ornamental plants in modern gardens. Many of them are hardy and easy to grow in exposed conditions. They provide strong forms and a range of colours, from blue-green to green, through to tawny and copper browns. These plants are at California Garden Centre in Wellington.